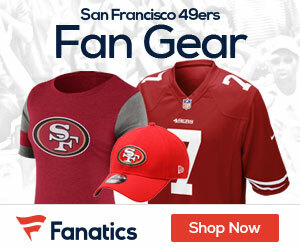 49ERS: DNP: NT Isaac Sopoaga (ankle, knee). LIMITED: WR Ted Ginn Jr. (ankle), RB Brandon Jacobs (knee). FULL: P Andy Lee (hand), LB Patrick Willis (ankle). JETS: OUT: CB Darrelle Revis (knee). DNP: WR Stephen Hill (hamstring), LB Bart Scott (toe), S Eric Smith (hip, knee). LIMITED: RB John Conner (knee), TE Dustin Keller (hamstring), LB Bryan Thomas (hamstring), WR Patrick Turner (hamstring). FULL: LB Nick Bellore (shoulder), CB Antonio Cromartie (shoulder), DE Mike DeVito (calf), S LaRon Landry (heel), CB Ellis Lankster (low back), C Nick Mangold (wrist), G Brandon Moore (hip), LB Calvin Pace (achilles), DT Sione Po’uha (low back), QB Mark Sanchez (low back), CB Isaiah Trufant (ankle). 1 Comment on "49ers at Jets Wednesday Injury Report"
Can we just come out and say Ted Ginn Junior is the 49ers biggest wimp. I don’t really think the guy wants to play anymore. Let’s just say as a competitor he is not on par with the likes of Jerry Rice or Michael Jordan.